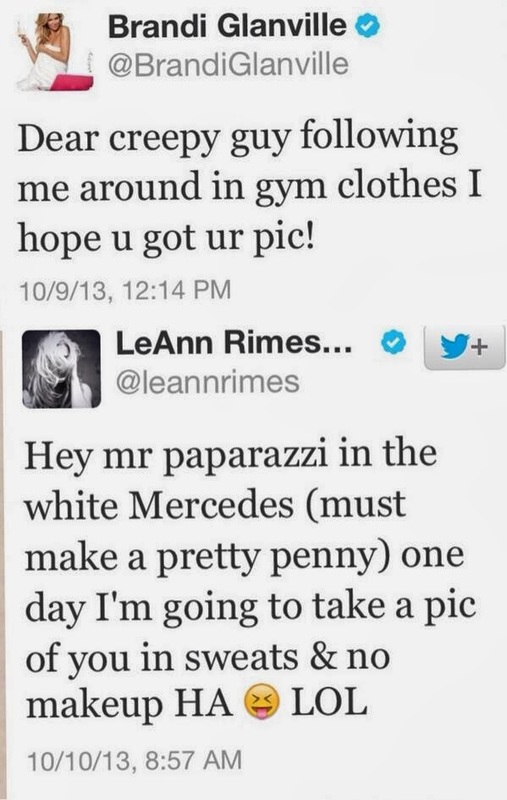 exposarazzi: LeAnn Rimes copying Brandi Glanville for the 56,543 time...."We both have STALKERS!!" 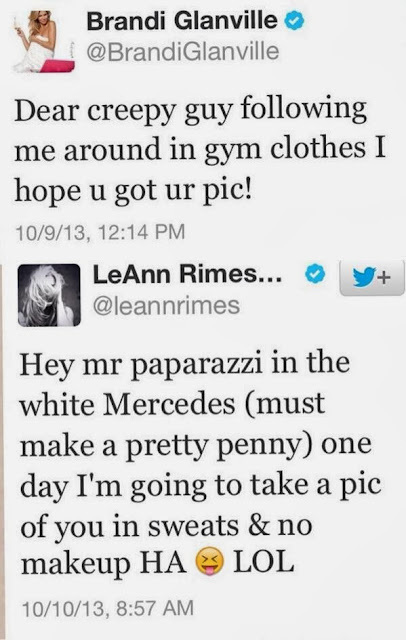 LeAnn Rimes copying Brandi Glanville for the 56,543 time...."We both have STALKERS!!" On Wednesday, October 9, Brandi Glanville posted a tweet about an annoying paparazzi following her around. It's hard to tell from the tweet if Brandi believes the pap is wearing gym clothes, or she herself was in gym clothes and not ready for her close-up? Whether it was real or imagined, less than 24 hours later, LeAnn Rimes also had a photo stalker, this one "Jack" from X17, an Armenian fellow from Glendale, Ca., who uses his grandfather's Mercedes to do paparazzi. And LeAnn is wearing sweats, btw, just like her idol Brandi Glanville.